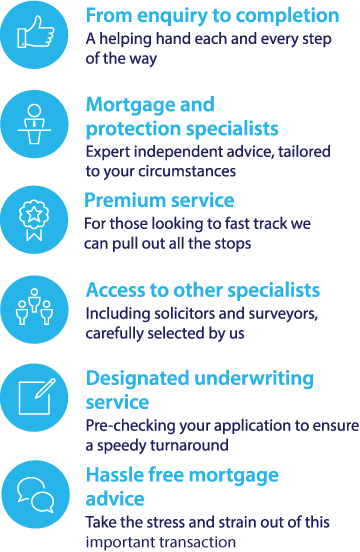 Fair Mortgages can provide you with a first class service if you are looking for a mortgage - If you are currently have a mortgage on a deal coming to an end and you are looking to remortgage or you wish to buy a new property contact us to help you get the best deal possible. An offset mortgage involves linking a bank account – usually a savings account or current account – to your mortgage, in order to reduce the cost of monthly mortgage payments as well as reducing the time it takes to pay off the mortgage. Linking your savings or current account to your mortgage could save you thousands of pounds in mortgage interest, as well as potentially reducing your mortgage term, meaning you will be mortgage-free sooner. You can still access your savings when you need to – and because savings don’t earn interest while they are being used to reduce your mortgage balance, you won’t need to pay any tax on them. Although there are slight variations between providers, most offset mortgages work in a similar way. You will usually set up an offset savings account with the mortgage provider at the same time as taking out the mortgage. These accounts stay separate, so you can access your savings if you need to. However, you only have to pay interest on the difference between the amount in your savings and the amount of your mortgage. This means that the more money you put into your offset savings account, the less interest you have to pay on your mortgage. Pay off your mortgage faster – you could pay off your mortgage more quickly with an offset mortgage deal by linking it to your savings or other accounts. Save on mortgage interest – you could reduce mortgage interest by linking other accounts. Only pay interest on the difference between your mortgage balance minus your combined savings and current account balances. Higher interest rates – Offset mortgages often come with higher interest rates attached than other kinds of mortgage such as base rate tracker mortgages and fixed rate mortgages. Offset mortgage interest rates also tend to be variable, which means that monthly payments can vary. The need for substantial savings – In order for an offset mortgage to be worthwhile, you will need to have a reasonable amount of savings in relation to the total value of the mortgage, otherwise any saving made will be negligible. You want to retain access to your savings – an offset mortgage allows you to make use of your savings while still retaining access to them. You are self employed – of you have an irregular income, an offset mortgage could allow you greater flexibility that some other types of mortgage. You are a higher rate taxpayer – an offset mortgage allows you to use your savings to reduce your mortgage payments, without having to pay any income tax on the savings used. To find the best offset mortgage deals call our mortgage team.